Plug-in to pay for Premium status, move to top, highlighting and paid publication on the classified website Osclass through the service Wallet One. 12 offices, 500 000 points of recharge, Europe, USA, Russia, CIS, China, South Africa and another 58 countries. 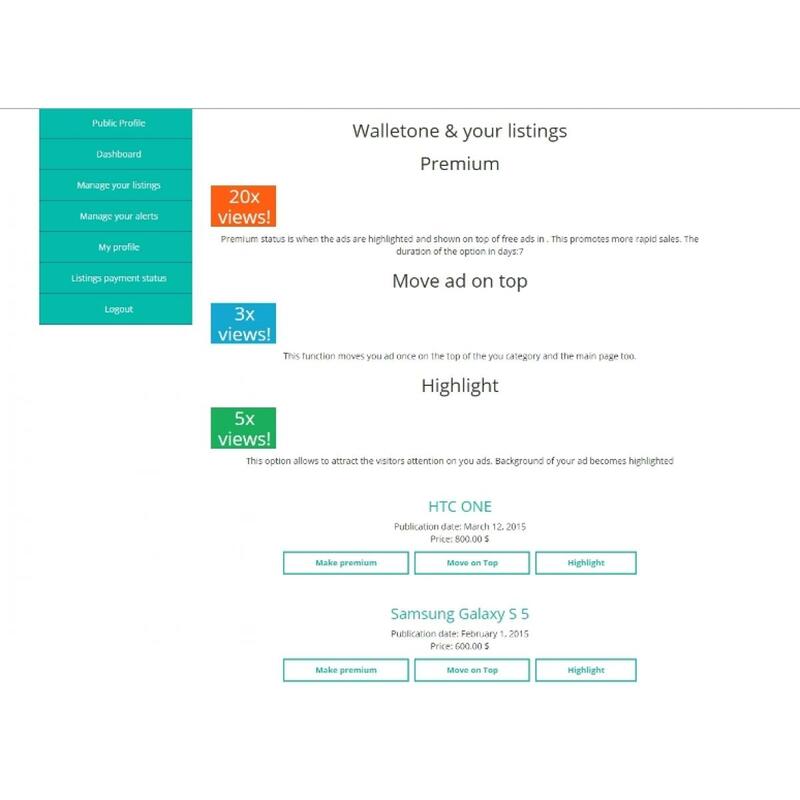 Premium status is a standard feature for Osclass script when the paid ads are highlighted and shown on top of free ads. The plugin allows to automate this process. 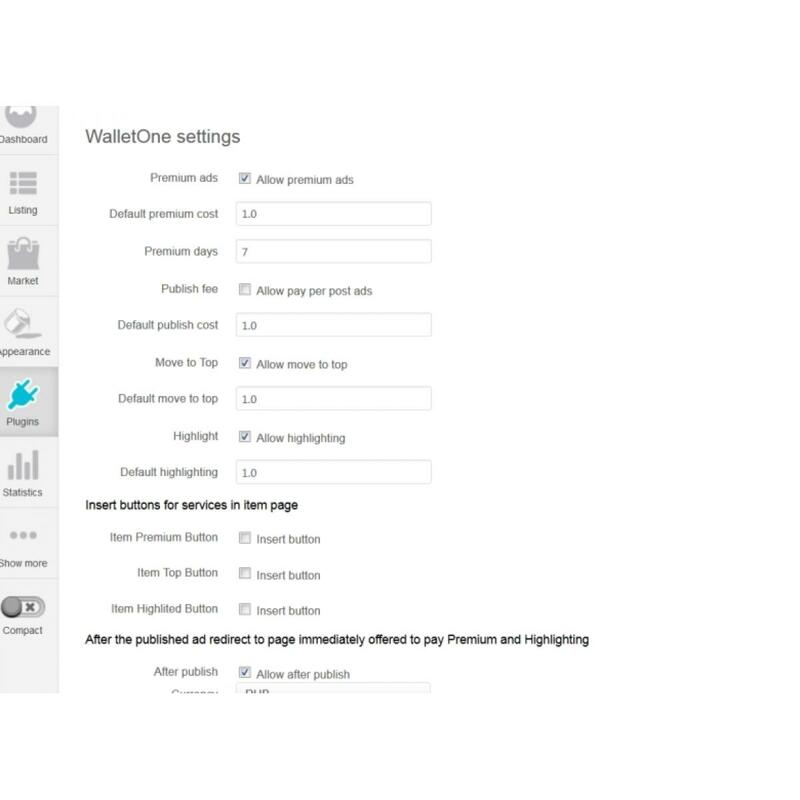 Any user can pay by Wallet One to set the ads as Premium. Administrator can easily configure the price and the period of time the user's ads will be displayed as Premium, also the number of days the ads will be displayed as Premium. You can set it as you wish. Administrator also sets the price for Premium features. You can set a default price for all categories or you can set a specific price for each category. There is an additional function in this Wallet One plugin which is not available in the default Osclass script. This function moves an ad on the top of the chosen category and the main page too. User can pay to move his ad/ads on top. These ads get listed below the Premium (if there are some) and will be decreased by newly listed ads by other users. Administrator can set a default price for the move on top option in this Payment Plugin Wallet One and also set a specific price for each category. 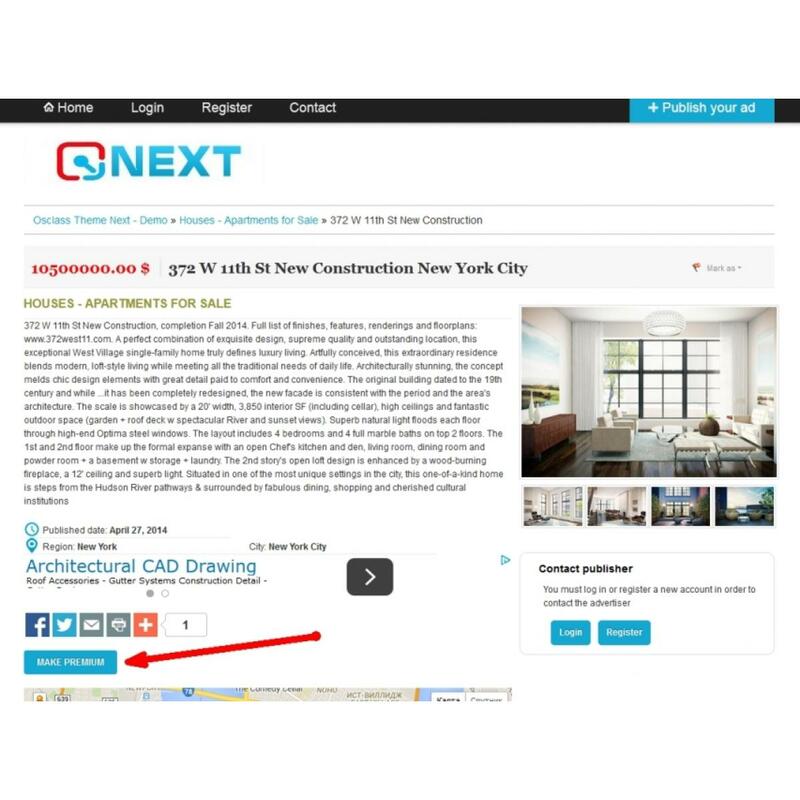 This option allows to attract the visitors' attention on the colored ads. The color/price of the highlighted ads are configured by administrator, as well as a default price for all categories or a single specific category. You can set this option ON to make users pay to publish the ads. User can compose a new ad, click the publish button, but it will be visible on the website after the payment is released. Administrator can set the price for all categories or a single category. 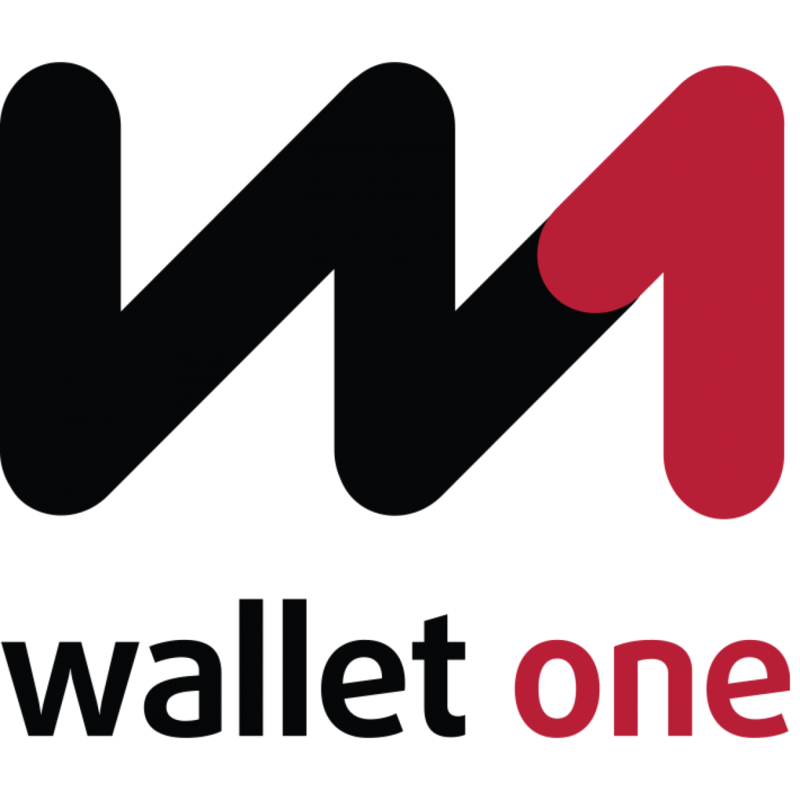 Wallet One Payment Plugin is very easy to install and configure. Another function of the plugin - users have the option to pay the Premium,Highlight and Move to Top without registration and login to the site directly from item page. The administratormay insertpayment buttonsto item page. Anyone can click on this buttons and pay without registration. A newfeature in version 3.0.0. If this feature is enabled. User after the published ad redirect to page immediately offered to pay Premium and Highlighting. See screenshot. This allows you to get more payments. Bottom of the After publish page there is a button - no thanks.The user can press it and nothing pay at once - publish a classified. 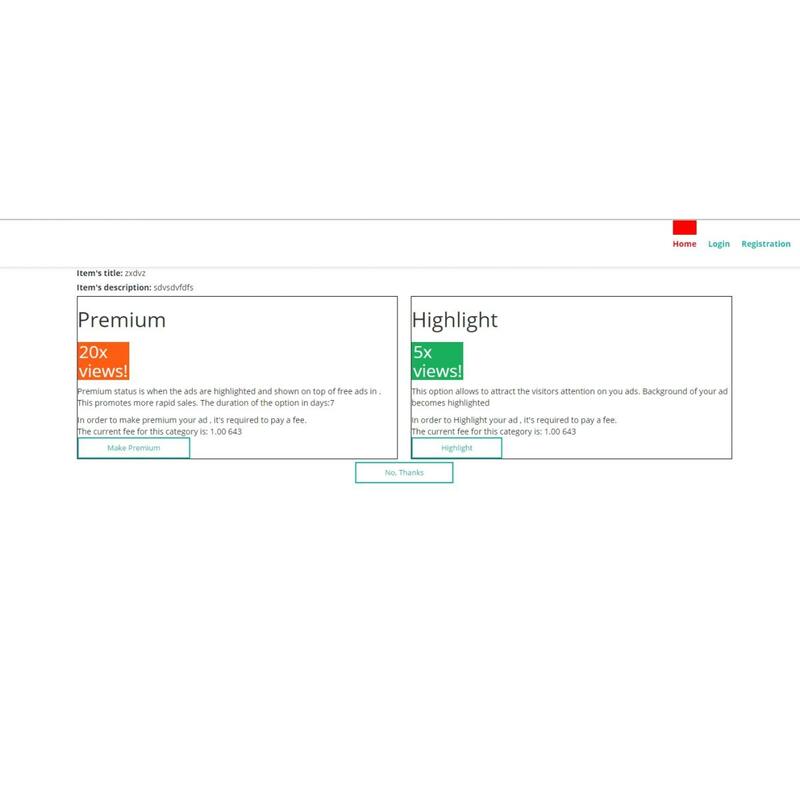 And pay premium option laterfrom the personal account.